Thinking of joining us or want to have a go before you commit? Training in the summer months is from Charlestown harbour, weather permitting. In the winter the rowing is at Fowey. For up to date information see our facebook page contact us on Messenger/Twitter or email us charlestowngigs@gmail.com. There will usually be some activity by the club on the harbour most week nights from 6:00pm in the summer and at weekends depending on tides. Come and talk to us if you would like more information. 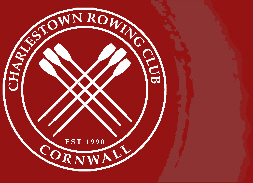 New members then have a month to try rowing with us before paying the appropriate subscription to continue. •	Student - £5 per month x number of months remaining. •	Junior - £3.50 per month x number of months remaining.